A recent study has found that subcutaneous injections of benralizumab, a popular asthma treatment, can be an effective treatment for people with rare chronic immune disorders called hypereosinophilic syndromes (HES) in whom other treatments were ineffective or intolerable. In a randomized, placebo-controlled phase 2 trial, investigators found a 50% reduction in absolute eosinophil count at week 12 in 90% of the patients receiving benralizumab compared to just 30% of the placebo group. During the trial, 20 symptomatic patients were administered a series of 3 monthly subcutaneous injections of either a 30 mg dose of benralizumab or placebo. 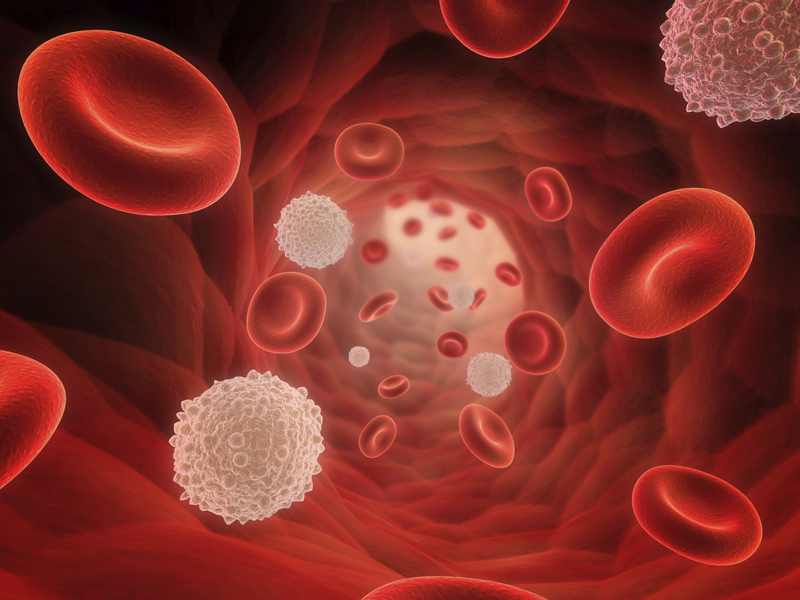 All patients involved in the study had an absolute eosinophil count of 1000 cells per cubic millimeter and were receiving stable therapy for HES. This was followed by an open-label phase and an extension phase. The three phases took place over the course of 48 weeks. The primary end point of the study was the reduction of at least 50% in the eosinophil count at week 12. At week 12, investigators found that 9 of 10 patients in the benralizumab group had a reduction of at least 50% compared to just 3 of 10 in the placebo group. In the open-label phase of the trial, after the first dose benralizumab was administered (week 13), the absolute eosinophil count was less than 200 cells per cubic millimeter in 17 of 19 patients. In the trial, patients with HES who received benralizumab for 12 weeks had lower eosinophil counts than those who received placebo. Additionally, during the open-phase, clinical hematologic responses were sustained for 48 weeks in 74% of patients. In the benralizumab group, 6 patients had transient, mild lymphocytopenia after the first dose and persistent lymphocytopenia developed in 1 patient in the placebo group. A total of 238 adverse events were reported during the randomized phase of the trial, but the only serious adverse event (hypotension) occurred in a patient receiving placebo. Investigators noted several limitations in the study, including the trial’s small sample size and lack of validated clinical outcome measures for HES. The small number of patients who did not have response precluded any definitive conclusions with respect to predictors of response to benralizumab. Finding a common clinical outcome to assess efficacy was made difficult due to the purposeful inclusion of a group of patients with varied disease manifestations. Investigators added that a larger placebo-controlled trial of benralizumab for treating HES is needed to confirm the results of their study. This study was only the second randomized, placebo-controlled trial to test the effective of a drug specifically for treating HES. The trial was led by investigators at the NIAID and conducted through a partnership with AstraZeneca. This study, titled “Benralizumab for PDGFRA-Negative Hypereosinophilic Syndrome,” was published in the New England Journal of Medicine.